A playground for foodies, performing-arts fans and music lovers, you can find it all on H Street NE. Restaurants, events, shops, bars, the arts – there’s something for everyone on H Street NE. Anchored by the Atlas since 1938, the neighborhood has recently returned to its roots as an arts and cultural center. In early 2005, the theater was reincarnated as the Atlas Performing Arts Center, and new restaurants, bars and businesses began to follow. Today, H Street NE has turned into one of the nightlife centers of the city, with music venues, bars and plenty of options for late-night eats. The community comes out in full force for the Atlas Performing Arts Center’s award-winning, inspiring and topical productions. This National Register of Historic Places landmark features performance spaces, and in addition to plays, also exhibits affordable, offbeat music acts and collaborations. You can catch a show at one of H Street’s many live music venues. Rock and Roll Hotel hosts up-and-coming indie rock bands, while Little Miss Whiskey’s Golden Dollar offers something different every night (think: DJ-fueled dance parties, karaoke or comedy). For an enchanting evening, check out Gallery O on H during its Music in the Courtyard series on select weekends in summer. 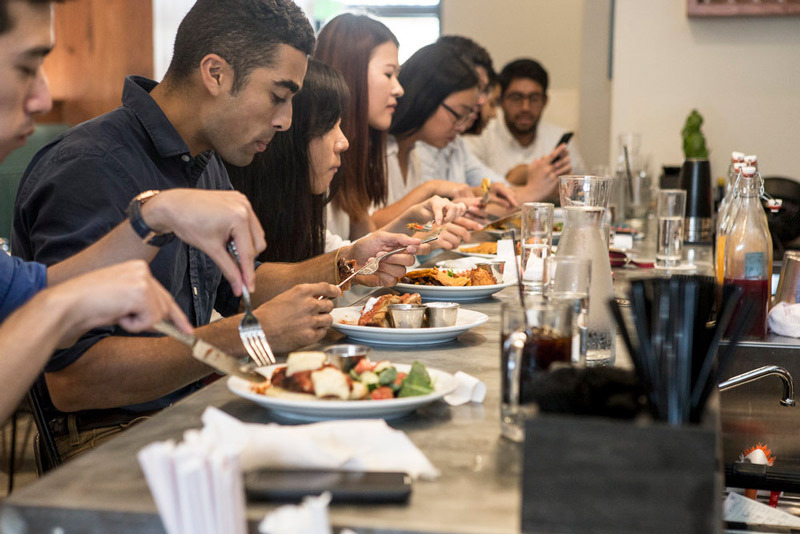 Start your day off by visiting Maketto, a 6,000 square foot communal marketplace that combines urban-inspired retail, a Southeast Asian sit-down restaurant and a cafe. Head upstairs for fresh java roasted in-house and pastries baked daily (or if the sun is shining, grab a seat at the outdoor courtyard). Cross continents for another unique coffee experience at family-owned Sidamo Coffee & Tea’s Ethiopian coffee ceremony every Sunday at 2 p.m. The custom begins with an Ethiopian woman roasting ripe green coffee beans on a camp stove, and ends with an offering of the fresh brew to patrons. Most gardens need sun and water, but beer gardens aren’t most gardens. 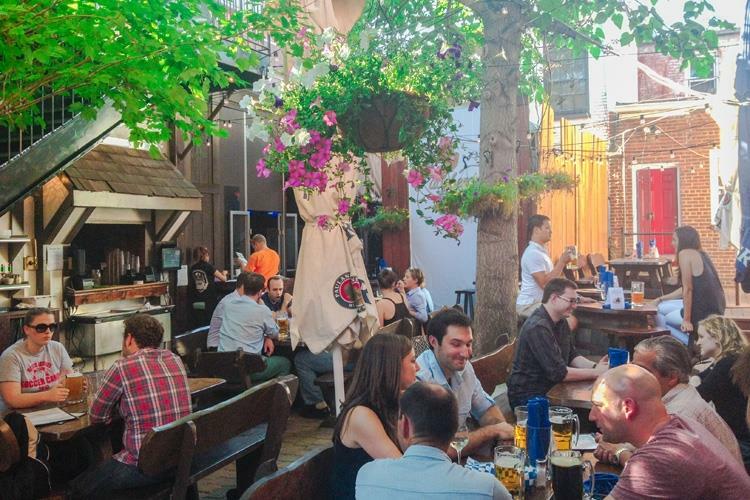 The magic recipe at Biergarten Haus is sun and suds, including summer-friendly kölsches, hefe weizens and lagers. If it’s a rooftop you’re looking for, head to Ben's Upstairs right next door to Ben’s Chili Bowl for sweeping views of the city and delicious fare. H Street Country Club is in the business of serving up Mexican food and multiple variations of margaritas with a breeze from its rooftop. 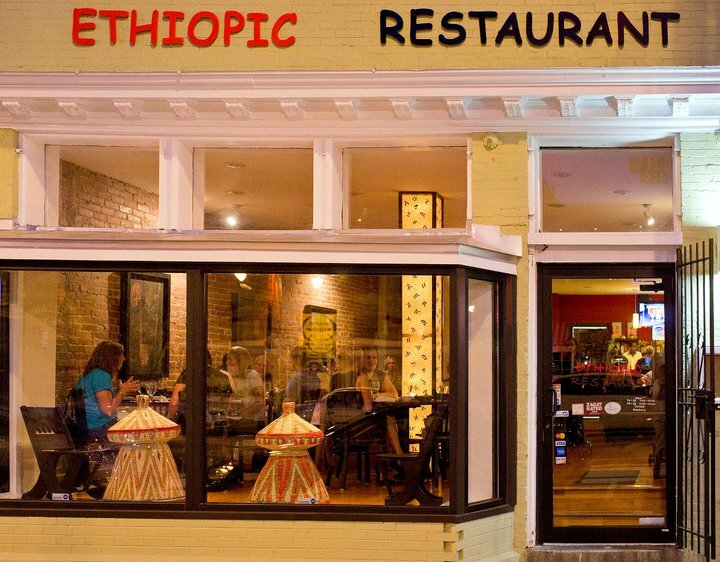 You’ll find Ethiopic at the start of H Street’s west side. The ambiance here is cozy, and the food is perfect for sharing. We suggest the Awaze Tibs: cubed prime beef sautéed in berbere sauce, onions, tomatoes and peppers. Don’t eat meat? The vegetarian sampler is a must. Fare Well, which sits across the street from Ethipoic, is a vegan, diner-style restaurant brought to you by Chef Doron Petersan (known for her appearance on Cupcake Wars). The eatery will offer a distinctive dining experience featuring baked goods and veggie-centric comfort food. The Cashew & Almond Burrata is the first item on our list to try. 9 Get offbeat at Copycat Co. Grab a seat upstairs at the small cocktail and dumpling bar, Copycat Co. Design elements include light fixtures inspired by birdcages and Chinese lanterns, a chalkboard listing all the drinks available and a large, scenic window looking over H Street. Owner Devin Gong mixes one of our favorite Moscow Mules in the city. Early birds should visit Bullfrog Bagels, the no-frills spot boasts traditional New York-style bagels with smoked salmon, whitefish and pastrami. The pastrami, egg and cheese bagel sandwich has our mouths watering.